had my second presentation this week and it went fairly well, better than the first one. 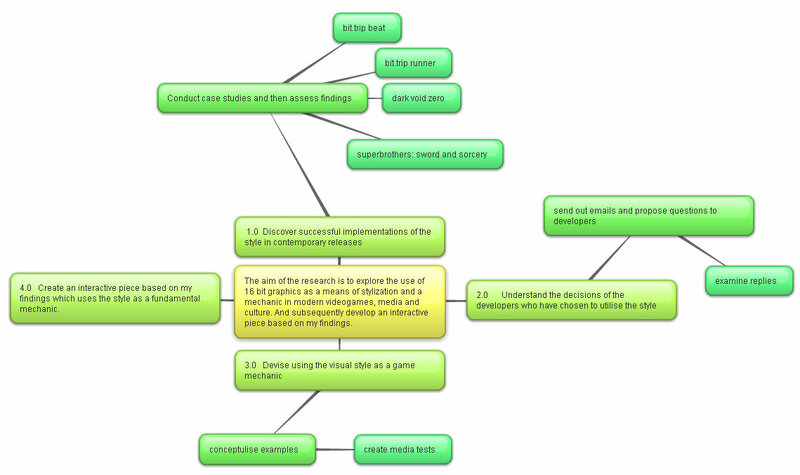 turns out the wording in some of my objectives was wrong, they weren’t phrased as objectives but as methods. it`s been iterated now of course. im tidying up the project proposal frequently since my research is making me constantly discover new avenues of interest. speaking of which, finally found that site which helps you generate a project map, instead of my previous homemade shoddy efforts. methods arent all in place yet, but that`ll come in time. along with a beefier statement and finalised timetable. “Everything that wasn`t directly related to that idea ended up being cut. so it`s not just a cool art style for the sake of a cool art style; it`s meaningful. and yet, it`s coming out in this day and age and on this current wave of consoles. 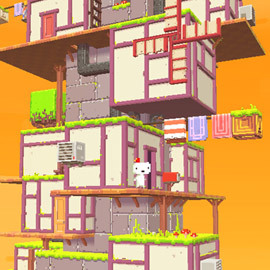 (previews have given it a lot of positive buzz, I think fez will have a great launch) it just goes to show that the art style can be inexhaustible given enough innovation and creativity. But rather then see the rise of the polygon as a threat, ishiwatari sees the two subgenres as separate entities and ones that can happily coexist. “3D fighting games are just branching off from what 2D fighters did back in the day” he tells us. “At it`s most basic , a fighting game. I believe that 2D games can learn from 3D games, and vice versa.” so while many were panicking and producing knee-jerk titles that went 3D for no reason and suffered for it, Arc cleverly played to the strengths of having one fewer dimension to worry about. “so uncommon to DSiware releases. This is certainly an attractive game, a throwback to the 16-bit platformers of old but tuned to levels beyond the power of the SNES of MegaDrive. what they say about, tuning to levels beyond the era`s consoles. that`s highly intriguing and it`s one of the fundamental areas of my research. shantae`s always been a fantastic example for most of my points of interest being seeing it worded like that, makes it all the more apparent. the use of interactive layers is also a nice, souped up addition to the game. the stronger hardware can scroll and zoom the environments without breaking a sweat, and it lends a feeling of depth and density that some platformers lack. 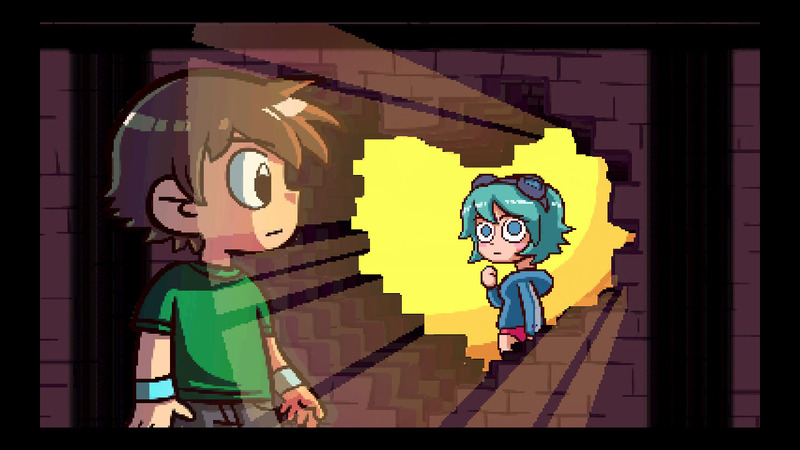 I found an incredibly quote from the guy made the scott pilgrim game for the digital marketplace, it`s so striking and it feels so integral to my rationale that I used it on my presentation. the fact of the matter, as lavigne points out here, is that the greater the limitations put on them, the more creative the developer must be in their work. the tighter the artists frame, the more meticulous and artistic they must be in applying their paint to the canvas. this piece backs up my opinion that retro 2D visuals are timeless and age better than other types of media. and I actually enjoy creative restrictions to a degree. perhaps my love of sprite art is appealing to that nature. that`s all for quotes gathered from the library, found a few interesting things online this week. abobo`s big adventure, website here. I`ve tried to veer away from parodies and overly faithful homages but this actually looks like a lot of fun. the mish mash of all the different gameplay styles is intriguing but i can see some of the more nefarious styles becoming frustrating. namely that teenage mutant ninja turtles level with the electrocuting seaweed. you can clearly notice some of the mechanics of adobe flash at play. some sprites rotate seamlessly (which they wouldn’t do on the original NES) but aside from that, it seems like a fantastic emulation of the era. I only managed to spy one sprite which was at a different resolution then all the other art. the mixed up gameplay styles is innovative in itself and i`l keep my eye out for the full release. retro city rampage (site here) is a 8 bit version of sandbox crime simulators. despite being a spoof game, it looks very polished and the inclusion of a cover system in a game like this is fascinating. just like the previous game its laden with all kinds of NES references. one thing im noticing about the 8 bit style is that it`s very flexible, these new retro games pull of a multitude of styles effortlessly. a lot to talk about here! not only does it have a fantastic retro style, but it`s drawing gameplay inspirations from modern stealth games (metal gear solid, splinter cell) the information being lit onto the environments is a great way to unobtrusively teach the player, and like a lot of games of it`s ilk it has the trend of showcasing the extreme difficulty (we`re a retro game, so we`re tough as nails etc etc) something I`ve noticed quite a lot. the ability to make and share maps is a great feature. something we would never have seen on older consoles. the simple graphical style makes (i theorise) levels a lot quicker and easier to create, so that an inherent bonus for the style. okay, onto my own stuff now. as you can see on the blog I`m halfway through objective one. I`ve reviewed two games out of four so far. I have dark void zero and sword and sorcery left to. i imagine i`ll get the biggest word count out of sword and sorcery as there`s a lot of great modern touch s there. i finally managed to beat dark void (on easy mode) so that`s the next game up for a case study. as for objective 2, I sent out some emails to various companies (ones that have been mentioned here in past posts) and I even got some replies as quickly as the same day! i`d forgetten how nice the gaming community can be. I wont be dissecting the q&a untill objective 1 is finished though, but thankfully I started sending out emails as soon as possible in case something goes wrong. and aside from research/written work, im constantly trying to find time to draw a character for the green patriot level. that`s part of objective 4 but hopefully it wont have to wait untill then. and even worse, the Sega blog has a competition up for some sonic CD fan art, and I daresay I wont be able to resist. but work wise, in the upcoming weeks, we will have to present our research regarding exhibition. this involves, looking into avenues where we can present our areas of work appropriately. 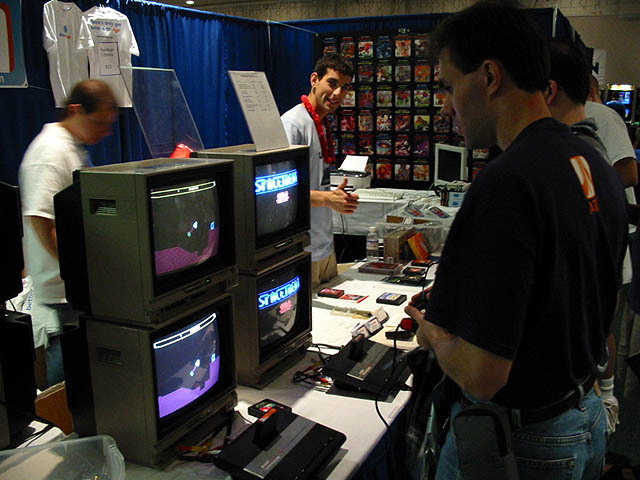 and thankfully, retro gaming expos are more popular than I first thought. 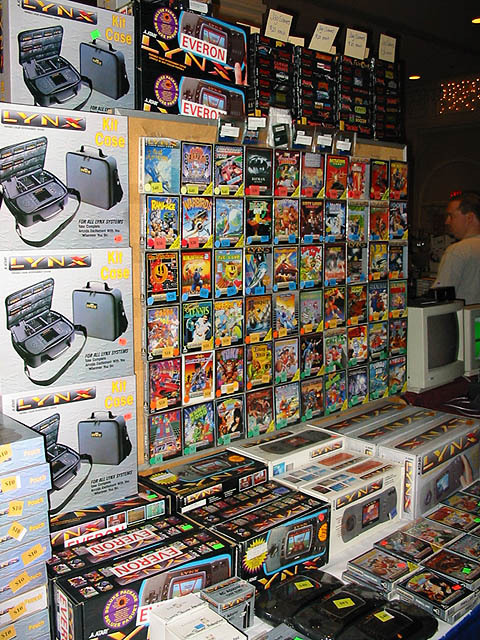 first up is the classic gaming expo, it’s a public event which takes place in las Vegas! they`ve had some very high-profile guests such as the blue man group and Penn and teller! 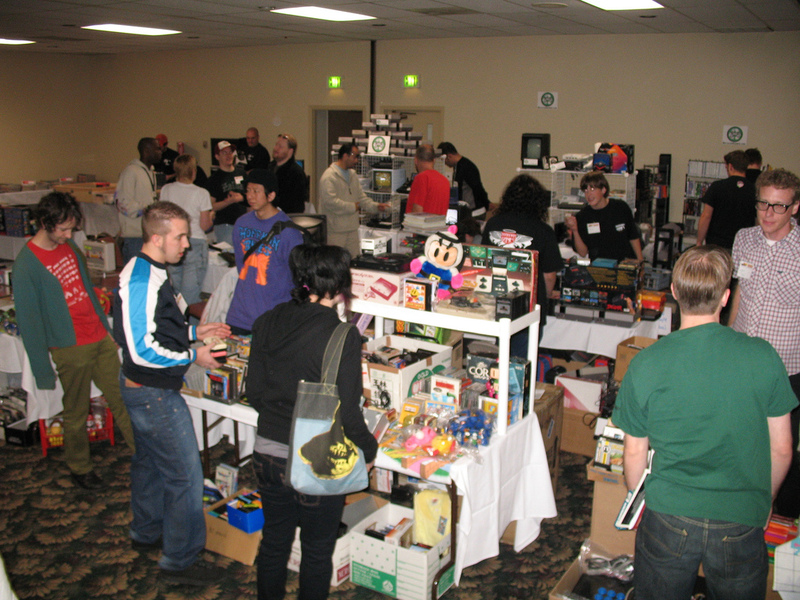 next is the Portland retro gaming expo. also a public event (tickets cost. obviously) and unlike the flashy Vegas expo, they have a more academic mantra. they wish to “educate, preserve and inspire” people using gaming’s retro heritage.they also have fundraisers for multiple charity foundations. don’t judge it too much from these garage sale style photos, these are from a 2006 expo it`s grown a lot since then. 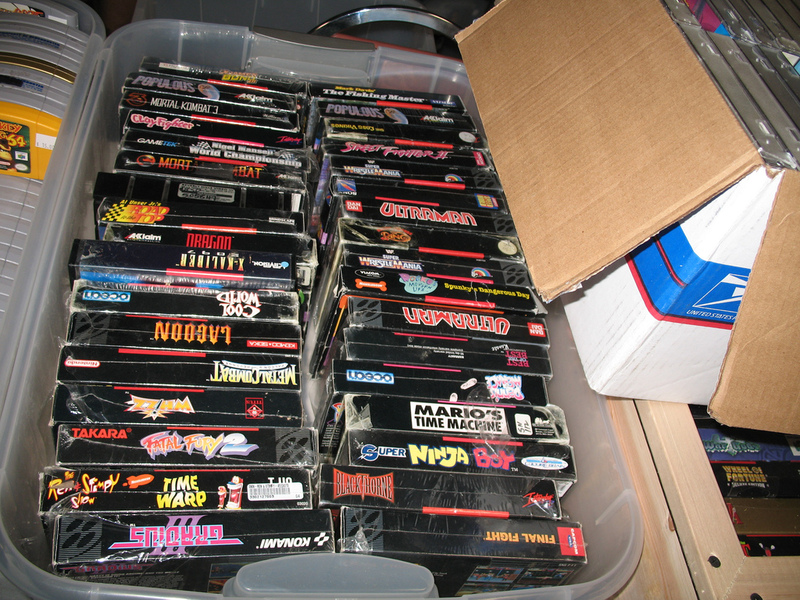 I just love seeing rows of SNES games. just like the previous expo, they have had a huge list of exhibitors and prize giveaways. it seems like a really sincere event with a lot of soul. they`ve had talks from founders of retro gaming magazines such as crash all the way from the 80`s, and talks from bafta representatives about the rise and fall of a british founded games company. Blackpool is a very fitting place, as it`s full of arcade machines. it`s a good holiday destination aswell. the expo has received support from big names such as Microsoft,bafta and Nintendo. quite the pedigree. good to know the one that`s close to home (i.e not in america) is so well-respected. before I forget, i entered another Sega competition, a speed run contest for the sonic generations demo. here`s my entry. I’m impressed, I have to say. Really not often do I encounter a blog that’s each educative and entertaining, and let me tell you, you could have hit the nail on the head. Your concept is excellent; the issue is something that not enough persons are speaking intelligently about. I’m very pleased that I stumbled across this in my search for one thing relating to this.